What a great start to a Friday! Karen at A Peek at Karen's World bestowed upon me a most wondrous gift... 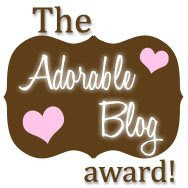 The Adorable Blog Award. Thank you, Karen! I must admit that receiving a blog award makes me feel warm and fuzzy! 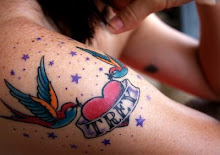 Check out Karen's site for her great posts and funny commentary. * Nominate as many blogs which you like. Thanks again to Karen for the wonderful acknowledgment! You made me smile so big today! I'll be back with a quilt update this weekend and share some crochet stuff I've been working on. Hope you all have a wonderful Friday and fantastic weekend!